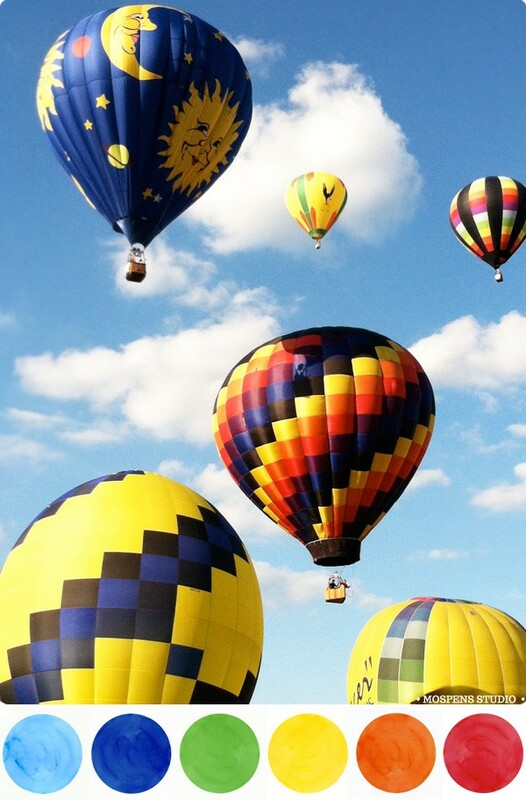 Today I am in LOVE with HOT AIR BALLOON COLORS. The colorful hues are perfect for a bright summer event. Vibrant and brilliant in color. Brightest sky blue, cobalt blue, vibrant rich green, bright yellow, orange, and red make up this creative color scheme. I would use brown or black as the accent color. The first 3 colors I think of in this palette are sky blue, cobalt, and the yellow. Just perfect for a BRIGHT summer party!